Gin lovers rejoice! This subscription start-up enables you to discover the latest craft gins - Will it be toasting a People’s Champion win? 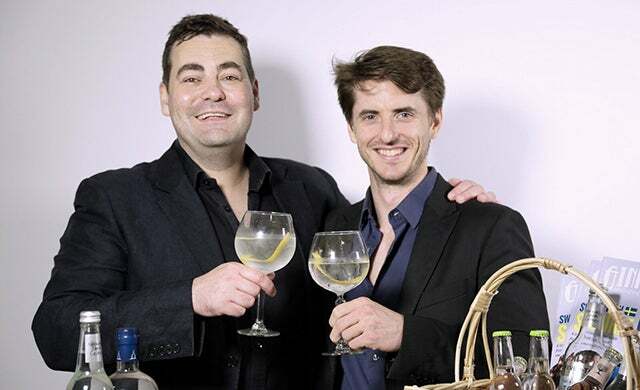 Craft Clubs is the company behind Craft Gin Club, the UK’s number one gin subscription box service and the brainchild of entrepreneurs Jon Hulme and John Burke. The start-up specialises in ‘surprise’ gin boxes which feature a bottle of craft gin – often special editions, exclusive imports and unusual discoveries – alongside gourmet goodies and a 36-page glossy magazine created by an in-house content team. As demand for mother’s ruin has grown, so has Craft Gin Club. Three years on from first launching, its customer base has swelled to some 27,000 active club members with 160,000 boxes shipped, and a community of more than 155,00 newsletter subscribers. Social media has also taken a liking to the business’ alcoholic amusements with over 360,000 followers across its channels, and hundreds of five-star reviews on Facebook. While the business operates a subscription revenue model, this isn’t the only revenue stream the brand has leveraged. Working with big-name snack and beverage companies such as Divine Chocolate and Pipers Crisps, Craft Clubs has created bespoke marketing packages to add value for these partner companies. These packages include a mix of in-home product sampling, magazine features, and social media campaigns that involve viral content, competitions, and user generated content. Hulme’s and Burke’s 16-strong team are then able to gather quantitative consumer insights and customer feedback from the marketing packages which are then presented to its partners to help them learn about their capabilities. Craft Clubs offers a win-win for gin fans and gin brands. It enables club members to discover the latest in quality craft gins,and read up on the industry, while providing an effective marketing platform for gin companies to get their products into the homes of tens of thousands of customers. While it’s all too common for retail businesses to focus primarily on making the sale, Craft Clubs goes out of its way to offer clients more through the support of its in-house content team and data analysis.